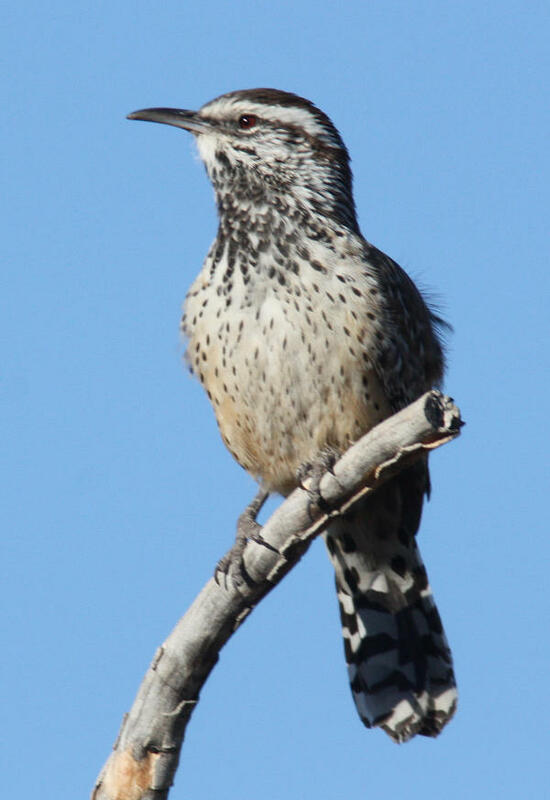 A Cactus Wren, Arizona’s state bird. Senator John McCain, pictured here in a bird T-shirt, was a birder and local Audubon supporter. Naval aviator, Vietnam war hero, Congressman, Senator, Presidential candidate and birder. According to interviews, McCain enjoyed identifying birds on his Arizona ranch, including nesting Common Black Hawks. McCain’s ranch is included in the Lower Oak Creek Important Bird Area, personally participated on tours of his ranch and at a dedication at Audubon Arizona’s Important Bird Area celebration.